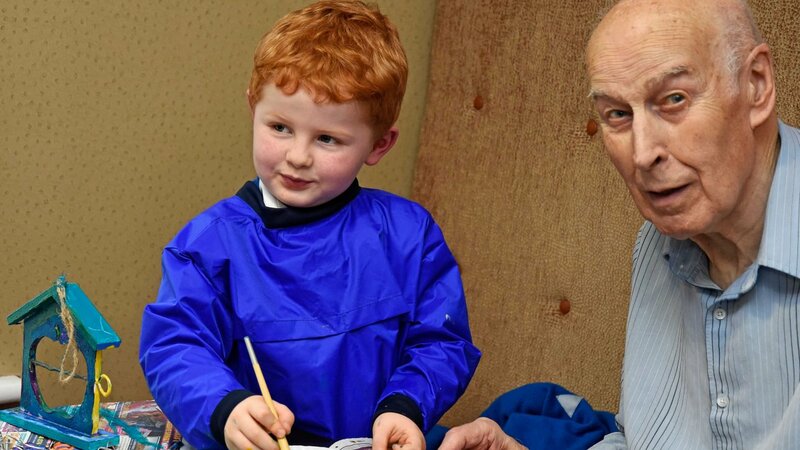 Year 1 and 2 pupils visited the Priors House Care Home in Old Milverton, Leamington Spa, to participate in a number of intergenerational activities as part of the RSPB’s Big Garden Birdwatch event. The children, who are aged between 5 and 7, teamed up with the elderly residents to build and paint bird feeders and decorate bird shaped biscuits. The Kingsley School and Priors House are currently looking at further ways to work together in the future, with poetry sessions, film screenings and a resident visit to Kingsley’s Forest School and outdoor classroom under consideration.